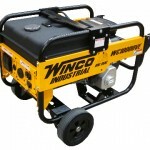 We primarily supply Winco generators to our industry professionals and in a world of disposable (also known as "consumer grade"); many portable generators are "Industrial" in name only. Don't risk your roofing equipment and productivity with a portable generator that can't keep up with your pace. 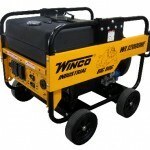 Winco provides products that are capable of working as hard as you do. 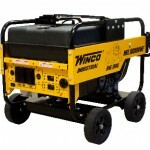 Winco portable generators are built to keep your crew working and has been consistently proven with over 85 yrs of experience manufacturing industrial grade generators. These generators provide dependable power when reliability is a necessity. 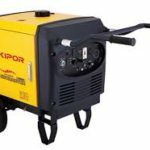 For those with fewer needs for power resources we also carry smaller duty Kipor models for powering your trade tools. These models not only have smooth output, but also provide reasonable protection against overloading your system thereby protecting your tools more delicate circuitry.